We provide a friendly and reliable service with all work completed on time with minimum disruption. If you would like to know more about any of our products, please contact us with our form below. The quality of work was very good ,they were flexible and helpful in the planning of the re decoration of our house. I wouldn't hesitate on using Tony and his team again. I would highly recommend T Mone painters and decorators. The quality of the work carried out at my property was second to none. The guys were a delight to have working in my home. Tony and his team have done work in and around our office several times now. They are flexible about timings – crucial in a busy working environment – and always deliver great results. All I can say is thanks for everything the guys + (girl) done a cracking job considering all the changes that was done during Job. Thank them all from us both we can't wait to get back in. 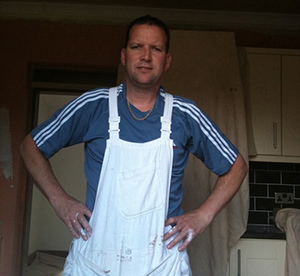 T Mone Painters and Decorators Ltd have been established for over 20 years in Moray and an experienced, long established locally based painting and decorating firm. We can carry out all types of interior and exterior painting work, wallpapering, coving, spraying, ames taping, decorative effects, paint stripping, graining and marbling etc all to the highest of standards of workmanship you would expect from a painting firm with over 50 years experience in the industry. For more information on the services we can provide call us on 01343 540 064 or visit the contact us page to send us an email.